There is growing acceptance that to be healthy and happy, we should not only concentrate on our physical wellbeing, but also our mental wellbeing. For the last 18 months the team at Honeybear Nursery & Pre-School have been learning about the importance of mental wellbeing, not only for themselves but also for the children. This has led us to include daily Mindfulness sessions for the children. So what is Mindfulness? It is where an individual focuses on the present, they are fully aware of where they are and what they are doing, and not overly reactive or overwhelmed by what’s going on around them. The Mindfulness experts suggest that if we practise this, it will reduce stress, anxiety, and negative emotions; it will calm us down when our temper flares, and it will sharpen our concentration skills. There are lots of different ways to practise Mindfulness. We have introduced it to the children using an audio-recording. The children each take a mat and lie down on it. Then we play the audio-recording which lasts about 10 minutes. The recorded voice is calm and soothing – and encourages the children to focus on their breathing. 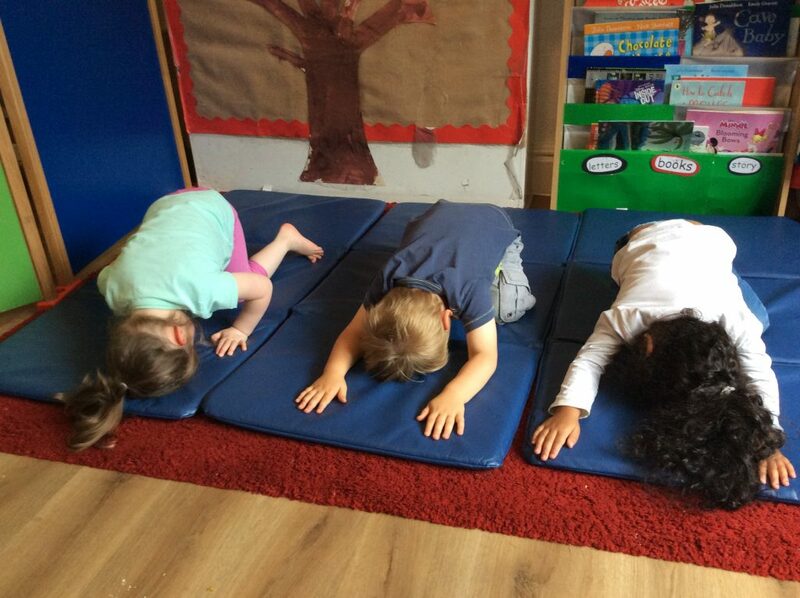 The children closely follow the instructions, focusing on the recorded voice and their own breathing. The results are amazing. The children look forward to and embrace their Mindfulness sessions; and afterward are calmer, relaxed and are ready to take on the rest of their day.